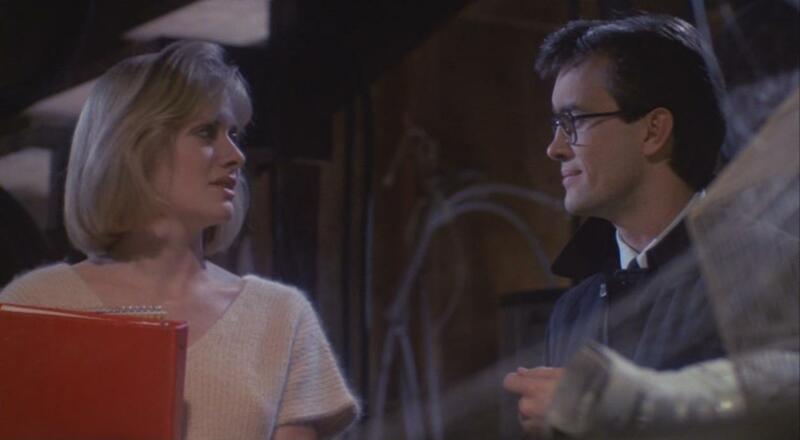 Nearly thirty years later, Re-Animator still feels like one of the most surprising horror movies anyone's ever seen. 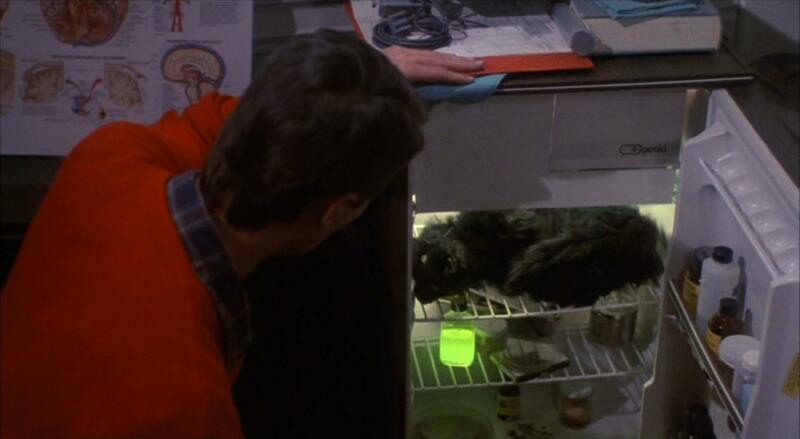 Almost every horror movie from the '80s was repackaged and retooled into dozens of successful knockoffs, but Re-Animator still manages to stand alone as one-of-a-kind, even if it did lead to two sequels. It's a rare feat that a movie from this time period can actively make you want to not compare it to any of its contemporaries, and that's just one of the great things about Re-Animator. A modern adaptation of H.P. Lovecraft's Frankensteinian tale Herbert West-Reanimator, Re-Animator is first and foremost a chance for the great Jeffrey Combs to make his mark as one of the most talented actors in horror cinema. 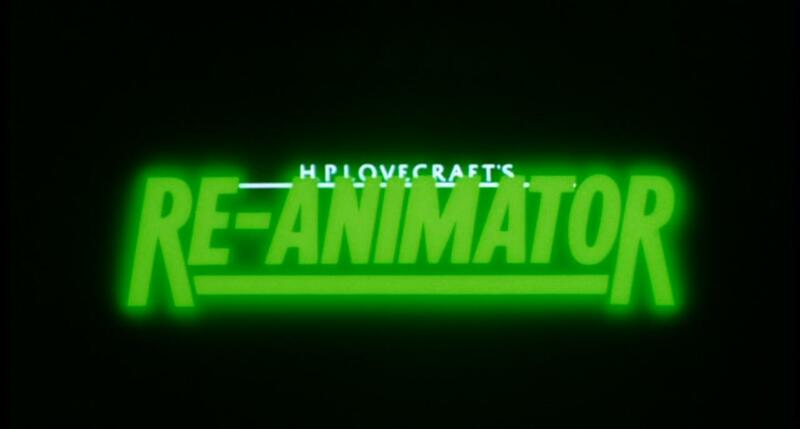 There was a hole to be filled after Vincent Price, Christopher Lee and Peter Cushing faded away from leading man status, and Re-Animator certainly works as a jumping off point for its star. As West, Combs evokes memories of Colin Clive and Frankenstein while seamlessly fitting in to a post-Ghostbusters world of horror cinema. Though many point out the changes in horror through the '70s and '80s - first the gritty and decidedly un-gothic tales of the '70s and then the slice-and-dice slashers of the '80s - Combs' turn as Herbert West is one of the best examples of how "classic" horror could still live in the changing climate of the horror scene. The story doesn't work with just the mad doctor - though it's arguable whether West really ever goes all the way to "mad", I might say that at his worst he's just delusional - which allows for the film's other stars to fit in to the script. Bruce Abbot gets top billing as the straight-laced medical student who gets caught up helping with West's experiments, much to the dismay of his girlfriend Megan - who also happens to be the dean of his college's daughter. Megan is played by the great Barbara Crampton, who is probably the best actress ever when it comes to just being shocked by all the disgusting things happening around her. The things she is asked to do in this film had to a bit uncomfortable for the actress - particularly when the film gets to its infamous climax - but she takes it all like a champ. Abbott and Crampton seem like they have the easier roles in the film - though it can't be easy to scream as loud and as often as she does - but it's imperative that they make simple characters feel unique as they play off of Combs' West and David Gale's creepy Dr. Hill, who becomes the film's biggest menace as it goes on. It's important to note that none of these characters are portrayed as secondary to the film's gory sequences, but it's just as important to point out how well director Stuart Gordon uses gore throughout his film. The film is deceptively gory these days, because it spends so much time building up West's ideas and the way it effects the characters around him that my memory of the film always starts with images like the sequence where the two doctors re-animate their pet cat - a comical but gross sequence punctuated by Combs' sly "Don't expect her to tango" quip - and makes me forget the chaotic and bloody (and mostly naked) final sequence. I'm not sure if Gordon's intent was to make us think Frankenstein and then surprise us with something out of Fulci, but if it was he did a darn good job of it. 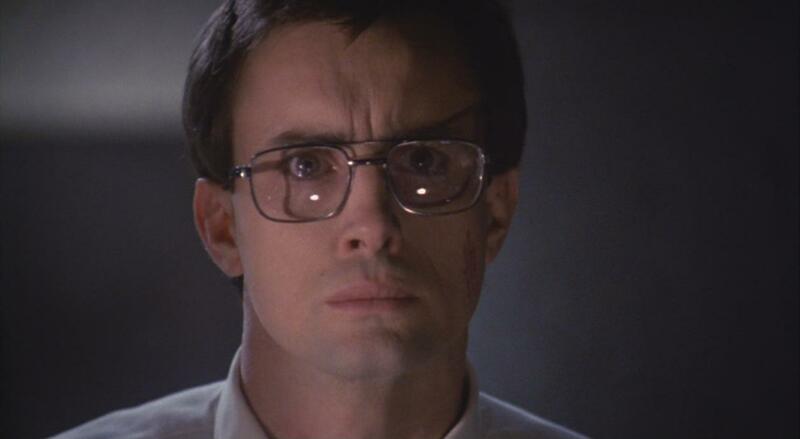 Re-Animator's plot spirals out of control so quickly in the final act that it's hard to keep up. I've seen the film many times, and as I found myself looking at it again tonight I still lost track of where it was going next. There's something perfectly manic about the last 10 to 15 minutes of Gordon's film, and the pace at which things escalate only makes the film that much more fun to revisit. Everything builds to a final sequence that is perfectly morbid in the way it mixes chaos with human drama, which is probably the biggest lasting impression the film has on me. Gordon and company managed to turn Lovecraft's tale of terror into a gory masterpiece that makes us forget that it's gory, and few horror films out there engage the viewer as well as this one does. Yes! Another great review, Mike. 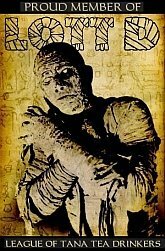 I just adore this movie, have ever since my Mom (!) told me about it when she caught it on late-night HBO or Cinemax well-past my bedtime. I love how you mentioned Colin Clive and his ilk, as I've always thought the same thing -- although it could be crammed (with effort) into the "zombie movie" category, I've always thought that RE-ANIMATOR is more than anything else just a damn fine *mad scientist* movie . . .